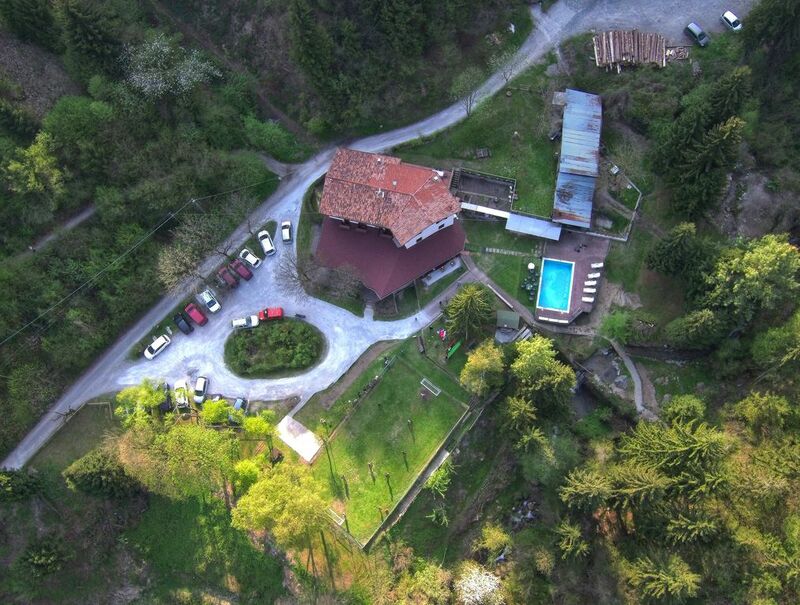 The chalet is located 800 meters above sea level between lake and mountain, surrounded by the green of the Valsupine. Our structure also enjoys the proximity of Lake Iseo (8 km), a wonderful body of water that can be obtained from Ceratello magnificent views, and Lovere, "one of the most beautiful villages in Italy", overlooking the lake. The location makes the structure suitable for various uses: cool and quiet in summer, suggestive and welcoming in winter, can be used by parish groups in search of a spacious and quiet place in which to carry out their activities with the boys; from sports groups looking for a relaxing and surrounded by nature, able with its services to promote concentration and athletic training; but also from all those groups of young people, families, friends and schoolchildren who seek solutions in self-management or low-cost hotels, just to relax in a quiet place surrounded by greenery, as well as to explore the lake and mountain landscapes of Alto Sebino ( our structure has always been an important junction of mountain paths and mule tracks that connect to other enchanting mountain resorts, such as Bossico, the Magnolini hut, the Presolana, etc ...). Therefore, also given the proximity to Bergamo, Brescia and Milan, the structure is very suitable for outings of associations, parishes and cultural tours organized for families and friends.